Let Heavenly Hardwood bring out the best of your existing hardwood floors again with our buff and coat services! Hardwood Floor Buff & Coat — only $1.25 per sqft! Includes buffing, chemical wash, one coat polyurethane. Heavenly Hardwood Floors offers a year round, value added “Buff and Coat” special for only $1.25 per square foot on all types of hardwood floors. Buffing and Coating a Hardwood Floor consists of power buffing the floor with a “screening” process followed by the application of a fresh coat of polyurethane. The “buffing or screening” process is intended to remove any loose or old polyurethane from previous applications as well as prepare the surface for fresh polyurethane. 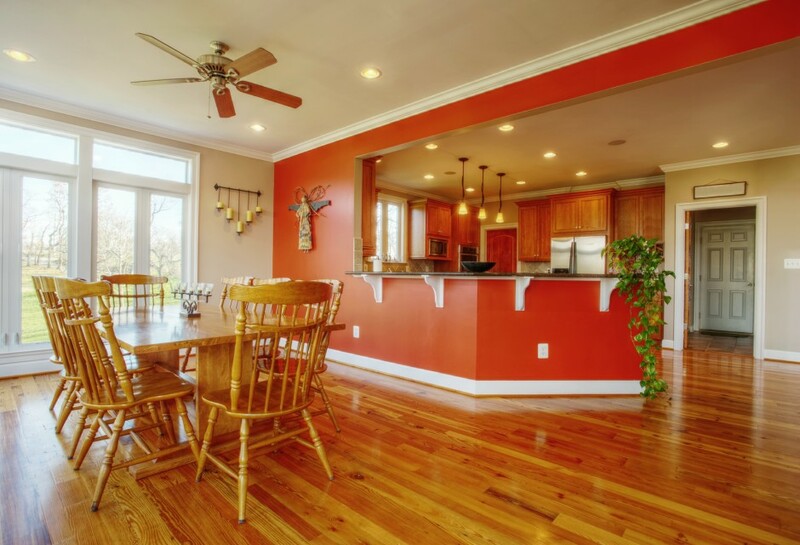 Once the Hardwood Floors have been buffed, they are chemically cleaned with mineral spirits to remove any dirt or residue from old polyurethane. The floors must be completely free of any dirt, oils or residue in order for the new polyurethane to properly adhere to the floor. Once the mineral spirits dry, a fresh coat of polyurethane is applied to the floors. The urethane will dry overnight and the floors can be walked on within a 24 hour period. Buffing and Coating a Hardwood Floor is intended to be maintenance process to extend the life and durability of the floor. The best floors to buff and coat are those that have been refinished in the past 7 to 10 years where the polyurethane is starting to show wear due to traffic patterns.